Jost’s, the Mumbai-based engineering solution provider, has showcased some innovative equipments from its partners at the SIAT 2019 Expo. The company has established itself as a dedicated arm for engineering solution providers like Dantec Dynamics, Bruel and Kjaer, and CATU. 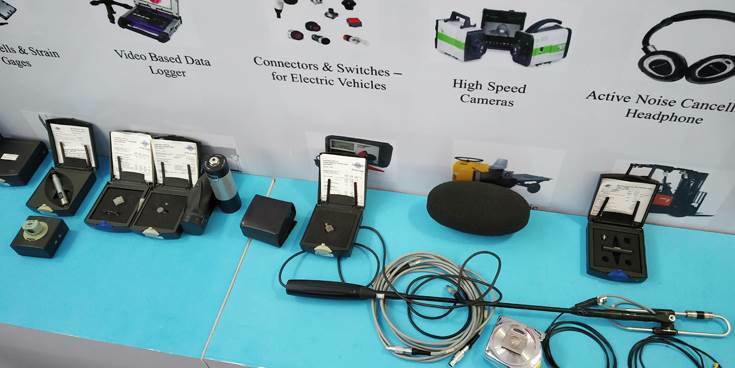 At SIAT 2019, Jost’s displayed an entire toolkit that has been specially designed for EVs. The toolkit that is developed by CATU is being promoted by Sicame India connectors. 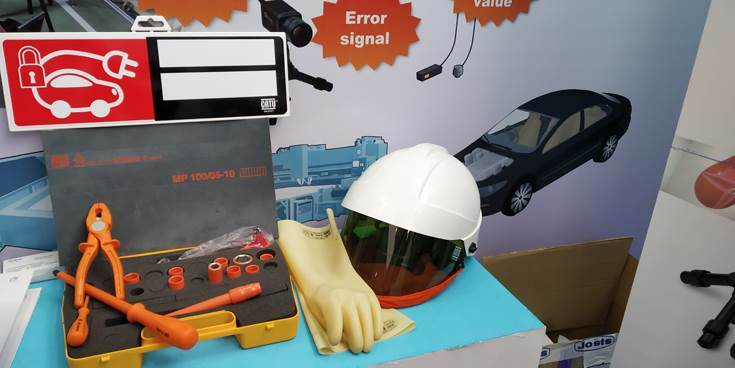 CATU, a leading equipment developer in electrical safety, claims to be the sole company in the country to provide this special set of toolkit and a safety kit for EV manufacturers or service providers. The toolsets come with a special kind of insulation. Also on display were special type of gloves and helmets especially designed for those working on EVs. Through a special tie-up with Bruel and Kjaer, a Denmark-based supplier of advanced technology for measuring and managing the quality of sound and vibration, Jost’s showcased microphone, axelometers, hand-held analysers and sound level meters. Interestingly, they also showcased an acoustic camera that is now incorporated by Royal Enfield in Chennai. The company claims that Royal Enfield is one of the first companies in India to incorporate this technology in their facility. The acoustic camera can scan through the test component and assess the source of the sound levels from various sections of the component. This way, the test could point out the source of any unwanted anomalies in the system by tracking abnormalities in the sound. Jost’s claims that this tool is currently being preferred by some of the upcoming EV manufacturers, electric motor developers and even tyre manufacturers.